The CCID is gearing up to launch its 2018-19 crime prevention and public awareness “Stash it, don’t flash it” campaign as well as intensify its safety and security measures. With public safety, as always, the number one concern for the CCID Safety & Security department, the upcoming festive season is a time when it always intensifies its efforts due to the added influx into the Central City of visitors. According to the department’s manager Muneeb “Mo” Hendricks: “Our plans to ensure that both local and visiting holidaymakers stay safe in the CBD are all in place. Our main focus for the CBD is to eliminate the opportunity to commit crime in the first place. 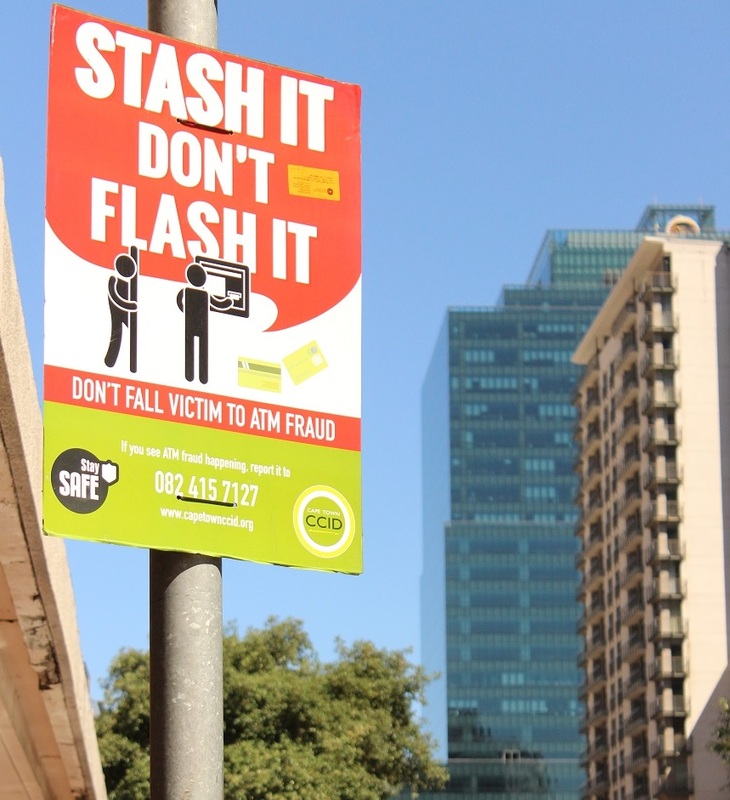 The 2018-19 crime prevention and public awareness “Stash it, don’t flash it” campaign will be officially launched in the first week of December 2018 and will run until 31 March 2019. Elements of the campaign include a display of street pole posters reminding people to be aware of theft out of vehicles, pickpocketing and ATM fraud. Flyers containing top personal safety tips as well as brochures with more detailed information will also be distributed by CCID-branded teams in areas that are prone to these types of crime. This year’s campaign will also feature a new initiative known as “Find me” aimed at encouraging members of the public to familiarise themselves with the CCID public safety officers (PSOs) and to actively seek them out when they feel in need of their services. Branded in easily identifiable CCID livery (black uniforms with CCID-branded bibs and caps), these PSOs work on rotation around the clock throughout the CCID footprint. In addition to the “Stash it, don’t flash it” campaign, and throughout the four-month festive season, the CCID Safety & Security department will deploy additional public safety officers to complement the 270-member team on duty throughout the rest of the year. A detailed breakdown of the additional number of PSOs that will be deployed during the festive season, as well as other measures that will be put in place, will be revealed in the summer issue of the CCID’s quarterly newspaper, City Views. The publication will also hit the streets in the first week of December when the 2018-19 crime prevention and public awareness “Stash it, don’t flash it” campaign launches. Also look out for more information on the campaign on the CCID’s social media platforms, Facebook and Twitter. Casting the spotlight on the CBD's art galleries.